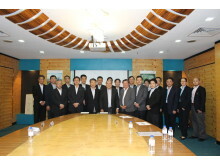 1 December, 2015, Kajang, Malaysia – PanaHome Malaysia Sdn Bhd (“PanaHome Malaysia”) today announced it has signed an agreement with major Malaysian developer MKH Berhad (“MKH”) to establish a new consolidated subsidiary to undertake design and building construction in Malaysia. The new company, PanaHome MKH Malaysia Sdn Bhd (“PanaHome MKH Malaysia”), with 51% investment from PanaHome Malaysia, a local subsidiary of PanaHome Corporation based in Japan, and 49% investment from MKH subsidiary, Kajang Resources Corporation Sdn Bhd, is scheduled to launch end of this year. PanaHome MKH Malaysia will focus its business on conducting building contract work for numerous residential and apartment development projects undertaken by MKH. Established in 1979, MKH has developed more than eight townships with over 35,000 properties in Kajang and the Greater Kuala Lumpur. In 2008, the company diversified its business by venturing into oil palm plantation in Kalimantan, Indonesia. 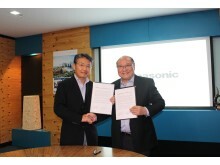 PanaHome, the housing subsidiary of global electronics giant, Panasonic, has built a total of about 470,000 residences in Japan over the past 50 years. It has expanded its business overseas, to Taiwan in 2010, and Malaysia in 2012. In April 2015, it established PanaHome Asia Pacific Pte. Ltd. to strengthen its foothold in the housing industry across the Southeast Asia and Oceania region. 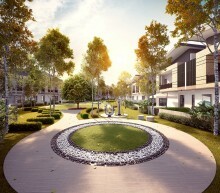 “With the establishment of the new joint venture company, PanaHome MKH Malaysia will offer solutions and proposals for housing in Malaysia by combining MKH’s know-how in the real estate development business with PanaHome’s technology, construction expertise, and ideas for quality living. We aim to find balance between design, furnishing and homebuilding, while sustaining the environment,” said Tan Sri Dato’ Alex Chen Kooi Chiew, Executive Chairman, MKH Berhad. The company plans to open showrooms to enable customers to visualise and experience first-hand various living spaces it can offer. PanaHome has set a target of 50 billion yen in consolidated sales in the fiscal year ending March 2019 for overseas business. Of the 50 billion yen, PanaHome aims to generate 15 billion yen in sales from the Malaysian market. Through the establishment of the new joint venture company, PanaHome will accelerate its efforts to expand its business to attain these goals. Established in 1963, PanaHome Corporation traces its roots back to the passionate vision of Konosuke Matsushita, founder of Panasonic Corporation, who sought to build quality houses befitting the vital role they play in people’s lives. 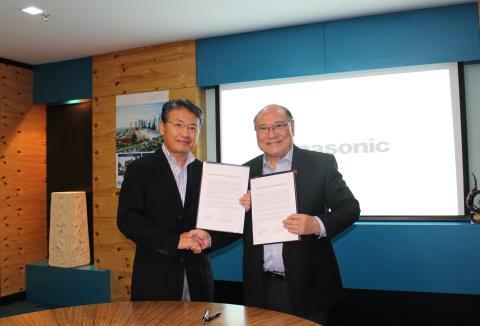 As the housing subsidiary of the Panasonic Group, PanaHome recorded consolidated net sales of 325.6 billion yen for the year ended 31 March 2015. MKH Berhad (formerly known as Metro Kajang Holdings Bhd), is an established property developer in Kajang - Semenyih with an uninterrupted profit track record since its inception 35 years ago. Since 1979, MKH has earned a distinguished reputation in improving quality of lives by building good quality homes and integrated townships, while 2008 marked the Groups’ foray in to oil palm plantation. Successfully listed on Bursa Malaysia in October 1995, MKH has completed more than 35,000 units of properties in Kajang and Greater Kuala Lumpur with a total value exceeding RM11.6 billion. The Group has garnered a string of awards including the “Best Company for Investor Relations 2014”, “Best Companies to Work for in Asia 2014”, “The Green Tech Award”, “The Edge Malaysia Affordable Urban Housing Excellence Award 2014 & 2015,” “The Edge Top Property Developers Award 2015”, and “Asia Pacific Property Award” for its seven property developments, apart from recognition of Management leaders for their role in transforming the Kajang township and contributing to Malaysia’s property industry. MKH acquired up to 90 years concession for its 15,900 hectares of plantation land in East Kalimantan, Indonesia. Its CPO mill has been upgraded to fully operating at 90 metric tonne per hour.